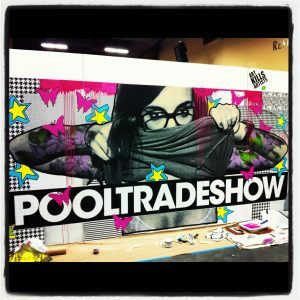 "POOL TRADE SHOW" in Vegas went super KOOOOOOL!!! Welp, I made it back to San Diego in one piece!! 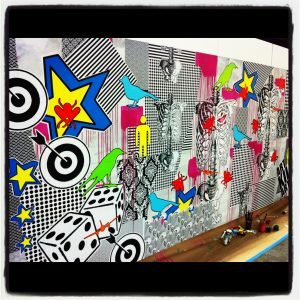 5 days in VEGAS, prepping & painting “LIVE” with JFeather every day from 9am-6pm..Exhausted, but ALIVE!! The dual “LIVE” murals came to life through the days and we met some amazing folks from all over the globe! 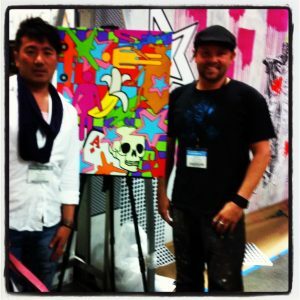 Many murals to come and pumped to have sold my first painting to Takashi who will be hanging it in Japan! Awwww Yea! !